On December 18th 1994, Oasis released the 'Whatever' single. It entered the UK Singles Chart at number 3, their first single to enter the top 5. It has spent an incredible 112 weeks on the UK Official UK Singles to date. 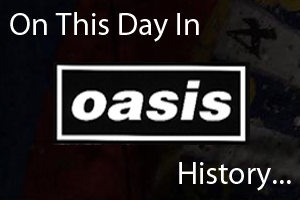 On December 18th 1997, Oasis played the second of two sold out dates at Wembley Arena in London, England. Watch footage from the gig below.